Russian President Vladimir Putin said on Thursday that Russia's decision to participate in the construction of the Akkuyu nuclear power plant in Turkey would be based on purely commercial considerations. "Questions about this project should be decided on a corporate level ... We will not take a single step that would damage our own economic interests," Putin told his annual news conference. Putin also said that contrary to current media reports, Russia did not invest $3.5 billion in the construction of the Akkuyu nuclear power plant. The planned $20 billion project would be Turkey's first nuclear power plant. But it has been complicated by the current tensions between Moscow and Ankara, after Turkey downed a Russian warplane over Syria last month. Russia has since then imposed various sanctions on Turkey. 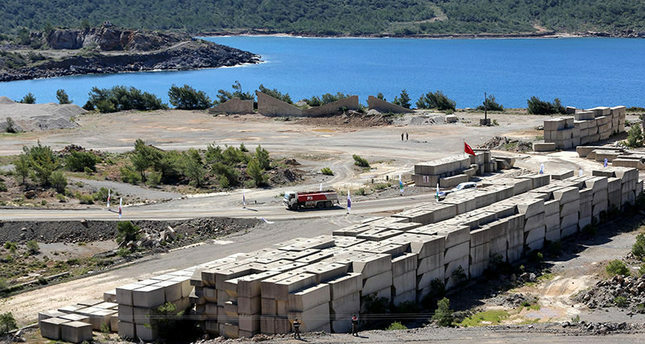 Last week, various media agencies claimed Russia's nuclear agency Rosatom had halted construction work at the Akkuyu plant, but this was immediately refuted by the company itself and the Turkish Energy and Natural Resources Ministry. PM Davutoğlu also Monday said there is no reason to halt the planned nuclear power plant with Russia.